My pictures sometimes look furry, mainly in full sun or flash shots what could be the problem? Providing your images are correctly focused I would take a close look at the condition of your front optics, finger prints and smudges, scratches, Condensation, Camera movement and fungus will cause “furry” or hazy results particularly when illuminated with harsh lighting, such as full sun and flash. patches over the image. High contrast areas take on a ghost like glow. Remove loose grit from lens with an air brush or blower. Using a lint free cloth or optical tissue folded several times; apply 2 or 3 drops of lens Cleaner (absolute alcohol or shellite work well) With light pressure start in the center of lens using circular motions moving outwards. One or two minor scratches will not affect the image quality however a myriad of small scratches or one big one will cause hazy results, unlike finger prints and smudges scratches won’t clean off, the only option is to place the lens. Fore those cameras with out built in lens covers a filter is a cheap investment. Humidity and a sudden change in temperature can cause condensation to form on internal and external elements; this will also result in hazy pictures. This is distinctly different to optical pollution. There is a faint second image (down and to the right in this picture) or streak in the direction of the camera movement. To reduce this (apart from the obvious, use a tripod) I find supporting the camera with two hands, my left arm firmly against my ribs, elbow tightly bent pointing to wards my left leg and my hand under the camera. My right hand in a normal taking position. Fungus is a eukaryotic organism that spawns in warm dark humid conditions. Unfortunately that is some times a place where cameras are stored; i.e. top self of wardrobes, laundry or in a draw. 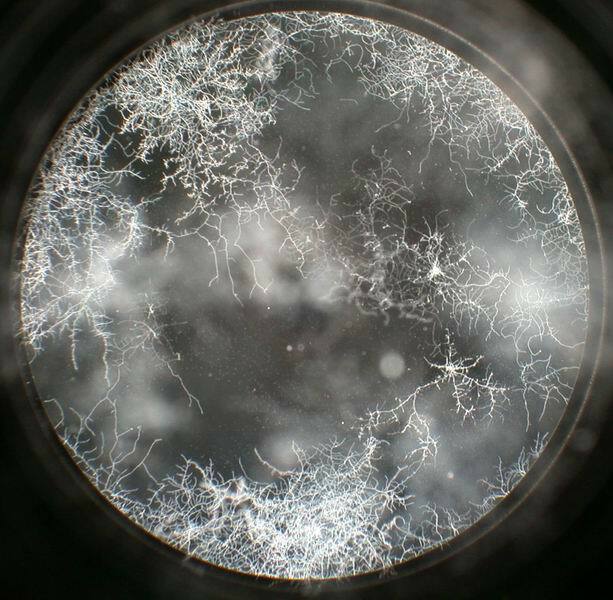 When fungus attacks it is normally on the lens elements starting as a spot then it spreads out. Over time it will destroy the lens coating, if this occurs the only option is to replace the lens unit or elements. Fortunately this is not common and in most cases the fungus can be removed by a service center. To avoid fungus store cameras in dry light conditions and store in a cloth camera case as often as possible! 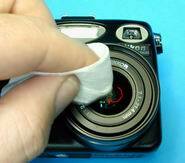 When storing long term apply 2 drops of ammonia to the inside of case or camera bag. In the worst condition fungus will take 2 month to grow into a noticeable size. Leather cases are the perfect hosts for fungus. Place some silica gel satchels in the case with the camera.